2. You must have already purchased a SCMF18 Full Experience Pass or Locals’ Pass. Get stoked and Get Excited for SCMF! 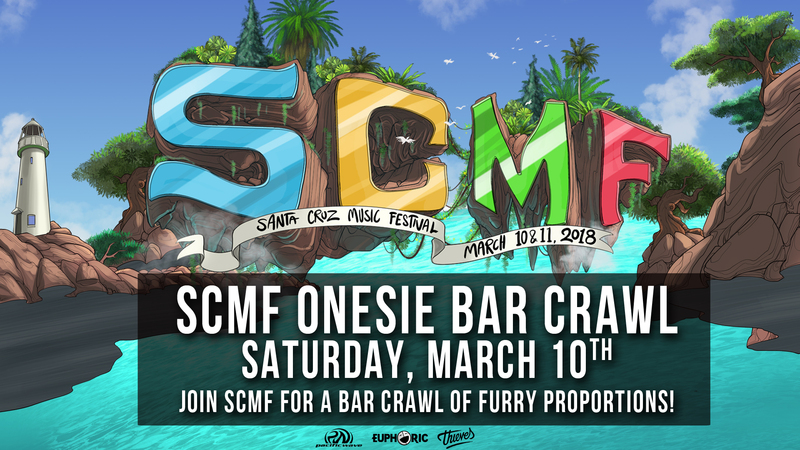 Ticket Purchasers will be receiving a FREE ONESIE/ PAJAMA BAR CRAWL WRISTBAND via RSVP presented by Yeww Apparell! 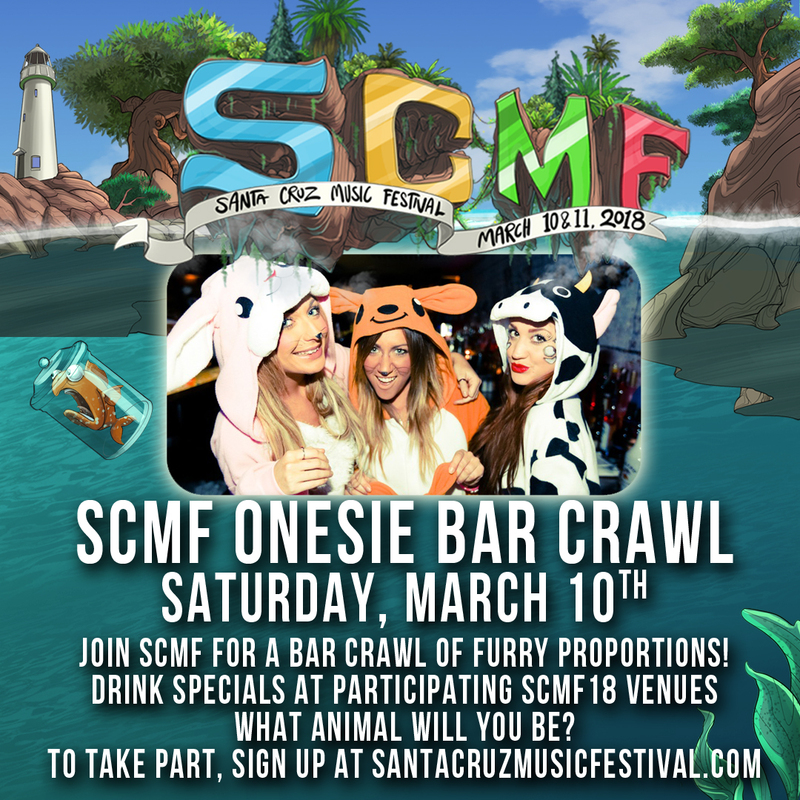 Bring your onesie squad, get rowdy, get drunk, and score discounted prices of drinks, onesies and turn up to live music! Squad of 4 with the best outfits will get upgraded to VIP! We will be spending one hour at each bar, so make sure you’re not too partied out to get to the next one! Coming a little late? Want to spend a little more time at one of the bars? Or want to go see your favorite artist at another venue? No worries! You have the schedule so you can drop in and out of the bar crawl any time you want! We will be judging squads of 4 by costume creativity and by party vibes, so come dressed to impress and get wild! Winner will get 4 upgraded passes to VIP! SCMF18 is partnered with Euphoric.Net, Pacific Wave Surf Shop Clout King & Thieves.